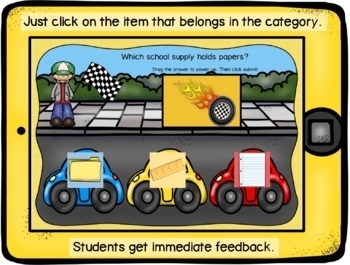 Your students will have a blast powering up their cars in this fun, picture filled interactive set that can be used in mixed groups. Work on the language skills of categorizing, WH questions and negatives. 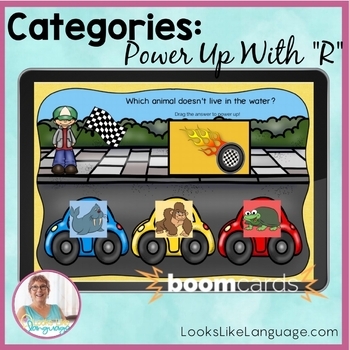 All the words contain the 'R' sound for working on articulation skills, too! 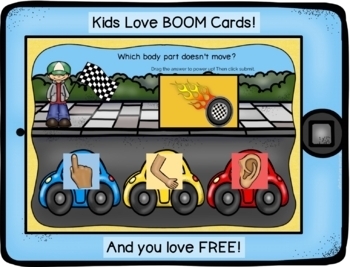 This Boom Card set is a quick and easy no print, no prep activity that can be used for fun generalization and carryover! * They are no prep and no print! Make your life easier! * They work on iPads, computers, white boards and phones. * Kids stay engaged with interactive activities. * They are great for teletherapy. * They provide more practice in a fun way. 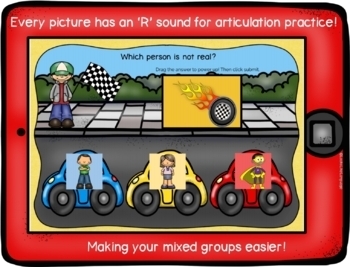 * They make differentiating for mixed groups easier. Boom Learning also has premium accounts. Premium accounts offer advanced assignment tools, individual and whole class performance tracking, and more. If you are a new Boom Learning customer, when you redeem your Boom Cards purchase you get 90-day free trial of a premium account. When your trial ends, you can renew or move to a free account. You may upgrade, downgrade or cancel at any time. Free accounts use purchased Boom Cards with Fast Play pins.